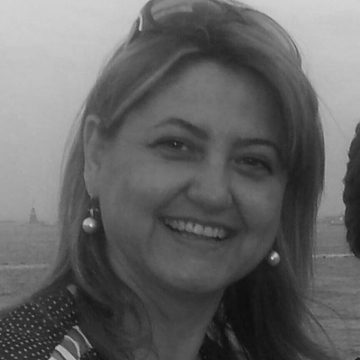 Banu was born in Ankara where she obtained her Bachelor degree in Business Administration from Gazi University. She earned her M.B.A. and Ph.D. in finance from Hacettepe Üniversite, Ankara. After starting her career as a management intern in the Ankara branch of Interbank, Banu was promoted to become the Branch Manager after four years and served in that position for another three years. Upon her successful performance, she was promoted to vice president of Interbank. She also acted as the General Manager of Inter pörtföy. In 2003, Dr. Sezginer founded INTERFED Yönetim ve Finansal Danismanlik, A.S, a management and project financing corporation that provided project financing to SME firms in cooperation with various financial enterprises. Among some of the noteworthy project financing arranged by INTERFED are: Taris Aydin – Project Financing, AN-SE Shopping Center Project – Project Financing (Ankara), and Trakya Birlik (Edirne). In 2005, while she was still working in the Orange Project at Deniz Bank, she founded AB Academy Egitim, a training and education company. Under this company, Banu successfully offered numerous finance courses to various financial institutions, management courses to additional companies operating across a number of sectors that included courses in finance management, as well as, management of sales related financial issues. AB Academy also offered numerous management training courses in the requirements of various government incentive programs, and played a key role as consultant to companies in their successful attempts to secure government support of their R&D programs. AB Academy provided much needed entrepreneurship training in 12 Turkish provinces. Since 2005, Banu has been teaching finance administration, banking, and international business at various universities, and is continuing her work as consultant and educator with numerous companies.